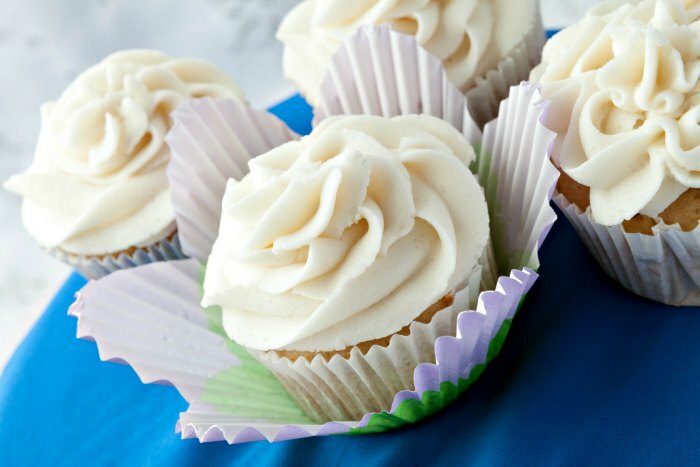 When making cupcakes, you don’t want any old frosting – you’re going to want the perfect Vanilla Frosting for Cupcakes. While many folks dream of chocolate icing, this girl only wants vanilla. There’s something simple, pure and perfect about vanilla, don’t you think? My absolute favorite combo is dark chocolate devil’s food cake with crisp white vanilla frosting. Oh my mouth is just watering thinking about it!!! This post contains affiliate links. Step 1: Using handheld mixer or stand mixer, cream butter on high, about 3 minutes. Step 2: Add powdered sugar 1/2 cup at a time, mixing on medium between each addition. Step 3: Scrape bowl well. Add remaining ingredients; mix on low until incorporated. Step 4: Turn mixer to high and beat frosting until light and fluffy, about 5 minutes. 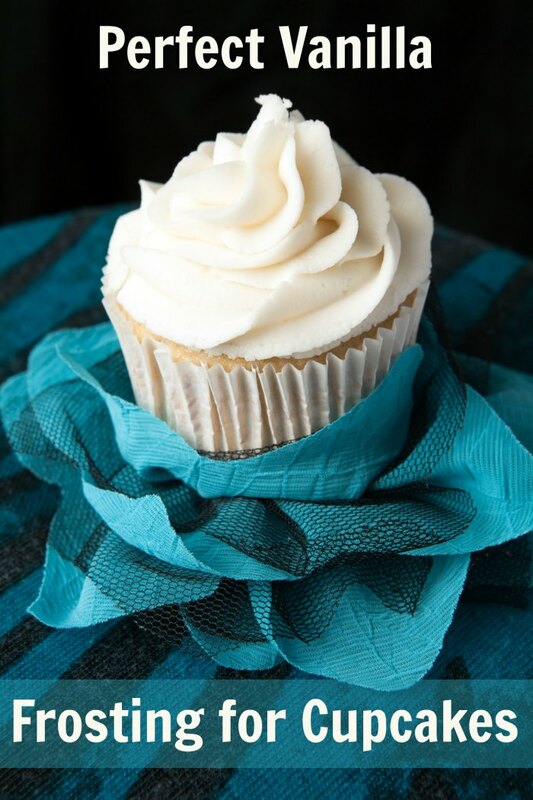 Looking for the right cupcake recipe to make now? Try these delicious cookbooks! 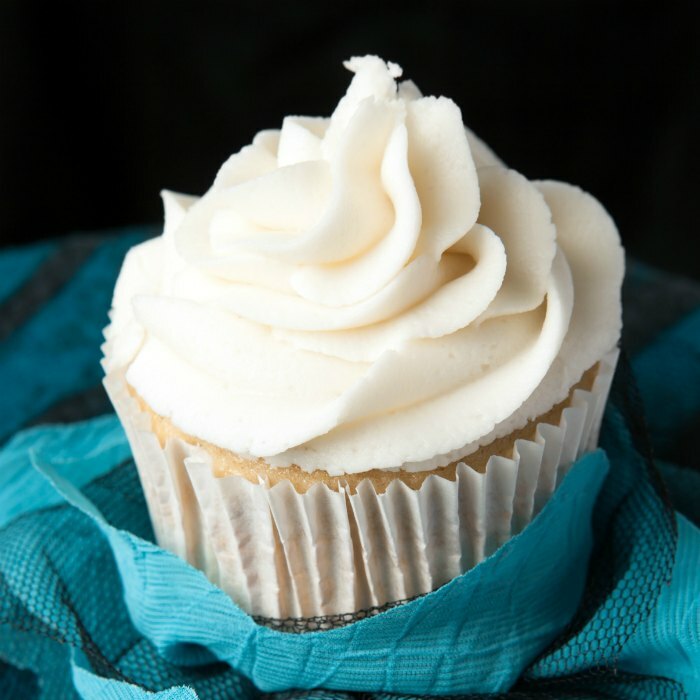 When making cupcakes, you don't want any old frosting - you're going to want the perfect Vanilla Frosting for Cupcakes. Add powdered sugar ½ cup at a time, mixing on medium between each addition. Scrape bowl well. Add remaining ingredients; mix on low until incorporated. Frosting must be at room temperature prior to using. I always add a slosh of milk to my buttercream but I’ve never tried cream. I’ll give this a go next time and see if it realy is perfect!! !